arch Holyhed M Hut C A15_001-02_14-06-18 BW | Ty Mawr Hut Circles on Holyhead on Anglesey, Wales. Parts are 4000 years old. With the remains of about 20 or so round stone houses, stores and workshops, and artefacts like a stone sink deeply embedded in the ground. This was a settlement built around what became an agricultural site. There is evidence of various settlements on the site with up to a 1000 years between them. 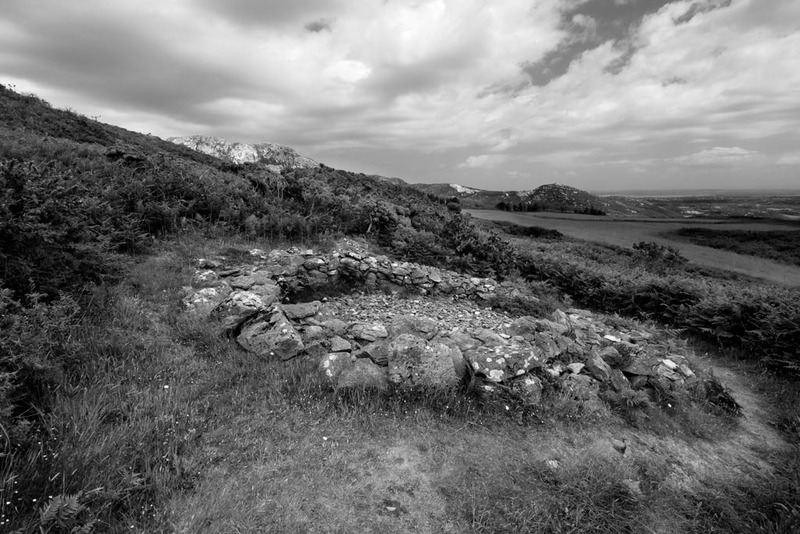 Ty Mawr Hut Circles on Holyhead on Anglesey, Wales. Parts are 4000 years old. With the remains of about 20 or so round stone houses, stores and workshops, and artefacts like a stone sink deeply embedded in the ground. This was a settlement built around what became an agricultural site. There is evidence of various settlements on the site with up to a 1000 years between them.